Swampy, a local chicken farmer, is loved by a few of the residents of Warrnambool. Mainly it’s his daughter, Emily (played by Sarah Snook), and his adorable granddaughter, Olivia (played by Coco Jack Gillies). Emily runs the penguin sanctuary on Middle Island and has her own problems to deal with. Foxes have figured out that they can make it to the island and are rapidly killing off the penguins. (Important animal lover side note: for those of you who can’t stomach animals getting hurt or killed on screen- this film is safe for you or your kiddos). In order to keep the sanctuary funded, they have to keep the penguin count up and it doesn’t look promising. Of course the two paths collide here to create a wacky adventure where Oddball, a Maremma sheep dog, finds his place protecting tiny penguins on top a large island. 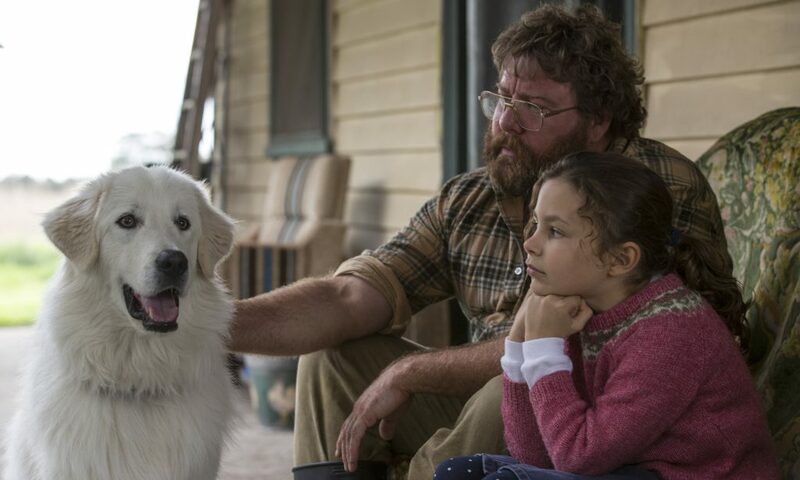 So much is at stake- Oddball staying away from the “the end of the line,” Emily’s life work that she took over for her mom continuing, Olivia remaining in Warrnambool with her grandpa, Swampy,…. the list goes on and on. Of course, in family friendly fashion, all’s well that ends well, but not without a bumpy ride to the satisfying and heart warming finish. The cool thing about this film is that it’s a true story but made into a pretty believable adaptation for the screen that feels nothing like a documentary. This conservation project is still active today in the town of Warrnambool, and Swampy Marsh is a real person who, with help from his dog, single handedly saved the penguin population. The movie was a fun escape from the realities of other real-life stories brought to the big screen. Some scenes were real winners and Jacobson, Gillies and Alan Tudyk, who plays Emily’s love interest, all lit up the screen. Film Review: DIFF 2015 Shorts!! This entry was posted on Tuesday, April 26th, 2016 at 5:11 pm	and is filed under Film, News. You can follow any responses to this entry through the RSS 2.0 feed. You can skip to the end and leave a response. Pinging is currently not allowed. « Full Cast Revealed For ‘Twin Peaks’ Revival at Showtime!! !